At MaxiNutrition we know your performance is everything. At higher levels of performance, the demands on your body are extreme. This is why our Promax Extreme formula targets the needs of the most demanding athletes. Every serving of Promax Extreme is specially designed to provide an impressive 40g of fast acting and slow release proteins. Our triple release protein formula delivers amino acids to your muscles. As well as being naturally rich in BCAAs and glutamine, Promax Extreme also contains vitamin C for immune system support along with naturally present electrolytes and 1.5g of calcium HMB per serving. Whey protein concentrate (milk) Milk protein concentrate, isolated soya protein (contains emulsifier: soya lecithin), cocoa powder (7%), calcium hydroxy methylbutyrate, flavourings, magnesium citrate, thickener (cellulose gum), sodium chloride, vitamin C, sweetners (sucralose, acesulfame K), zinc oxide, vitamin B6. 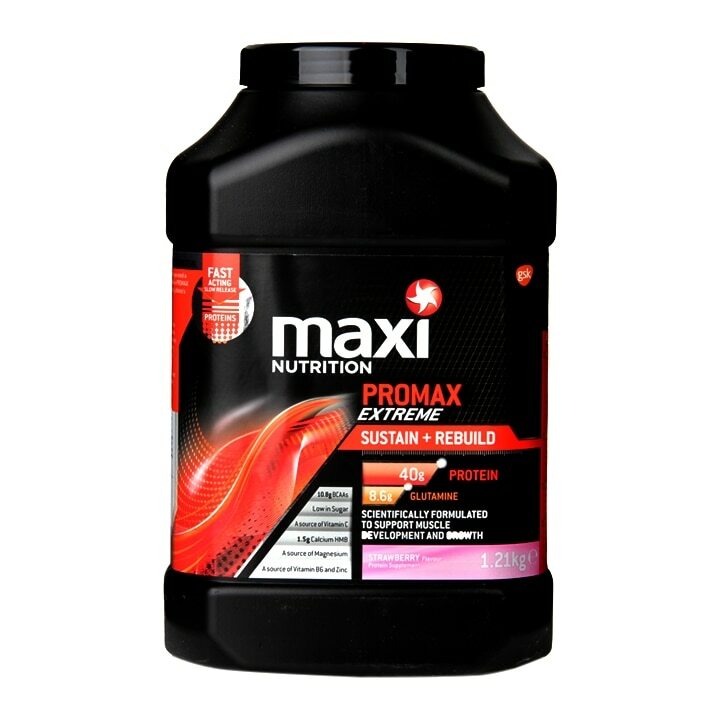 MaxiNutrition Promax Extreme Powder Strawberry is rated 5.0 out of 5 by 1. Rated 5 out of 5 by Aldo1973 from Best of the Best Good price for a fantastic product, I used the collection from store option, which was easier for me.